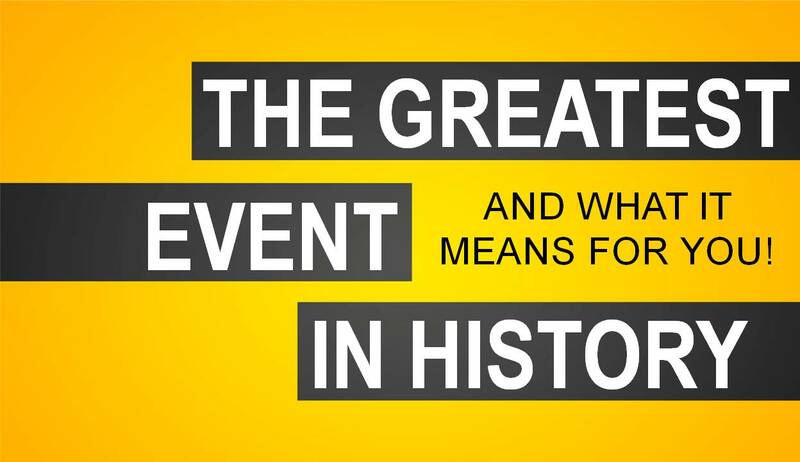 The Greatest Event In History… And What It Means For You. The greatest event in history was Jesus’ death, burial, and resurrection. “For I delivered to you as of first importance what I also received: that Christ died for our sins in accordance with the Scriptures, that He was buried, that He was raised on the third day in accordance with Scriptures.” (1 Corinthians 15:3-4). God is holy, and He demands that you be holy to be in His presence. You are not holy because of your sins. The result of your sin is separation from God and spiritual death. God loved you so much, He sent Jesus to pay the price for your sin. Through Jesus’ death, burial, and resurrection you can now have a relationship with God. The only way to begin your relationship with God, is by first dying with Jesus through baptism. Will you put your faith in Jesus and be baptized today? If I can assist you in your spiritual walk, please email me at clay@claygentry.com.